Raw Deal is a film noir from 1948, directed by Anthony Mann who has directed a number of noir films before he moved on to Westerns. Raw Deal has a very good plot, which incorporates many different plot devices into an hour and twenty minutes of dynamite. The main plot is a prison break but there is also a love triangle and a revenge theme thrown in for good measure. Dennis O’Keefe is our protagonist who is in prison for taking a rap for crime boss Rick Coyle played by Raymond Burr. The film starts out with him talking in the visiting room with his legal caseworker played by Marsha Hunt. As she leaves, Claire Trevor playing our protagonist’s girlfriend is waiting to visit. We see the attraction and jealousy that will push this love triangle. A prison escape is planned with Coyle’s help, but Coyle knows his friend will never make it, at least that is his plan. When our protagonist escapes, he doesn’t have anywhere to hide out, so he goes to his caseworker’s house. Soon our love triangle goes on a road trip, trying to get away from the police and meet up with our crime boss who owes our hero $50,000. What woman will win our hero’s heart? Will he get away? Will he get his $50,000? This is a very good little film worth watching for film noir fans. Though all three leads are well done, I have to say Raymond Burr is the stand out in this film for me. The scene where he throws a flaming liquid onto a female night club goer is one of the most vicious scenes I’ve seen in a while. Does this scene foretell his characters own fate? I really like this one as well. 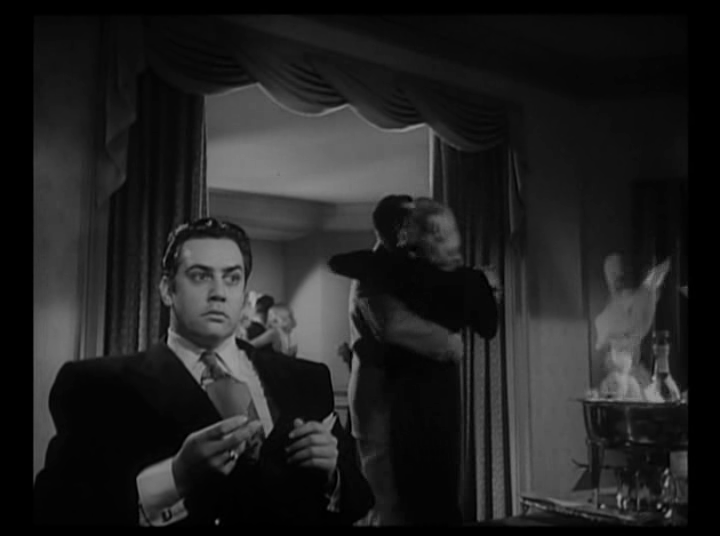 I think this was the first Raymond Burr film noir I saw (unless you count REAR WINDOW) and it prepared me for the nastiness he also displays in PITFALL.